This defense has been the cornerstone of one of the most successful coaches and programs in the country. Coach Billy Donovan walks you through his 2-2-1 full-court man press with stunting, and the 1-2-1-1 pressure defense. Using on-court demonstration Donovan details each player's responsibilities, when and how to trap, and transitional coverage once the press has been broken. Included are basic coverages for all press breaks and breakdown drills to improve coverage and communication skills. Donovan teaches trapping areas, close down techniques, defending screens, pushing the ball where the defense wants and recovering drills after traps. He also teaches special sideline calls such as trapping off the first dribble and trapping off the first pass. An enthusiastic and impressive instructional DVD for teaching one of the most feared press defenses in the game today. 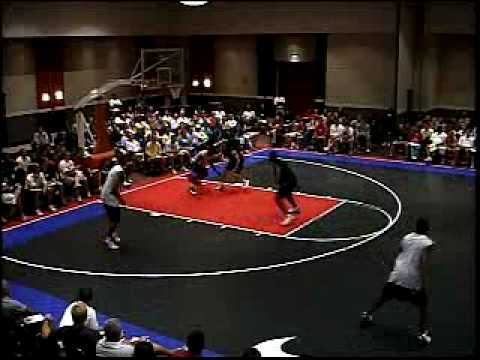 Billy Donovan: Mastering the Full-Court Match-Up Press 5.00 out of 5 based on 0 ratings. 1 user reviews.